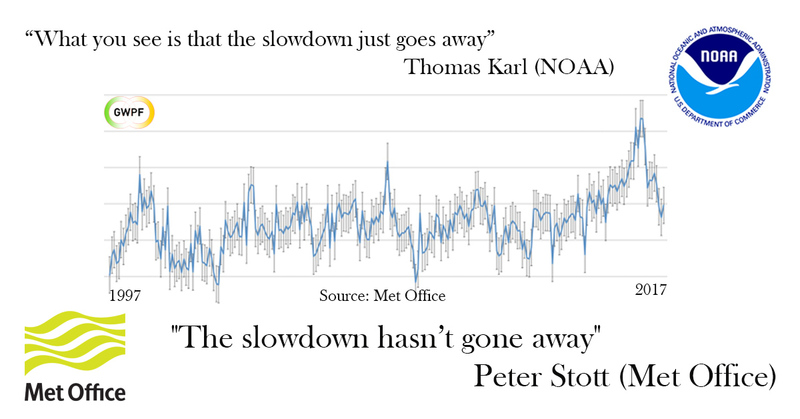 The many dimensions of the climate uncertainty monster. Professor Valentina Zharkova of Northumbria University is predicting that from 2030-2040 the magnetic conditions on the sun will mimic the ‘Maunder minimum’ that occurred from 1645-1715 and produced the Little Ice Age. Read more about her presentation at the Royal Astronomical Society National Astronomy Meeting 2015 here. NOAA has just updated its coastal sea level rise tide gauge data including actual measurements through year 2016 which continues to show no evidence of coastal sea level rise acceleration. These measurements include tide gauge data coastal locations for 25 West Coast, Gulf Coast and East Coast states along the Pacific Ocean, Gulf of Mexico and Atlantic Ocean, 7 Pacific island groups and 6 Atlantic island groups comprising more than 200 measurement stations. 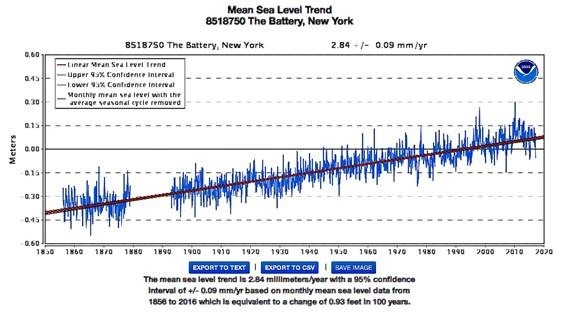 The longest NOAA tide gauge data coastal sea level rise measurement record is at The Battery in New York with its 160 year long data record showing a steady rate of sea level rise of about 11 inches per century. 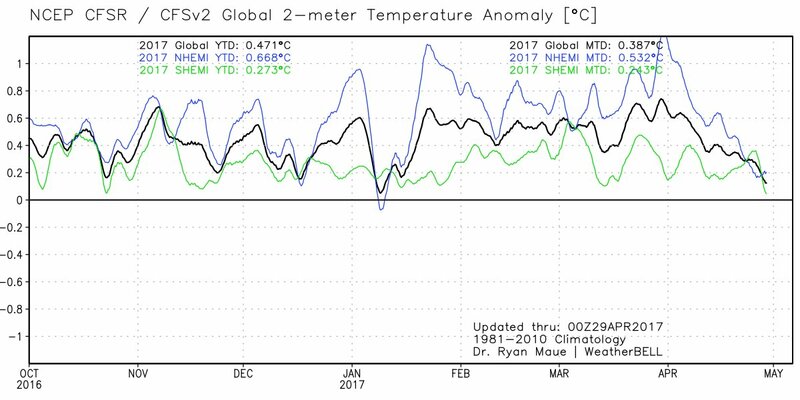 Despite widespread denial among climate activists, a growing number of scientific research papers in recent months have confirmed the global warming hiatus, trying to explain its possible reasons (for the latest studies see here, here and here). The latest study claims that the Southern Ocean played a critical role in the global warming slowdown. The scary emergence of Nye’s Quadrant in dominating the public discourse on climate change.